Robert William Duncan, the Bishop of Pittsburgh and Archbishop Emeritus of the Anglican Church in North America, was born at Fort Dix, N.J., in 1948. The 18th priest (and second bishop) to be ordained from the Christ Church in nearby Bordentown, Duncan was valedictorian of the Bordentown Military Institute in 1966. He graduated with honors from Trinity College in Hartford, Connecticut, in 1970 and from the General Theological Seminary of the Episcopal Church in New York in 1973. He also undertook advanced research in Scottish history at Edinburgh University in 1972-73, and engaged periods of sabbatical study in 1987, 2003 and 2014. He holds honorary doctorates from his alma mater, from Nashotah House and from the Reformed Episcopal Seminary. Duncan was ordained a deacon in 1972 and a priest later that year. He served the Chapel of the Intercession in New York City; Christ Church in Edinburgh, Scotland; and Grace Church in Merchantville, N.J., during his first years in holy orders. He was assistant dean of General Seminary from 1974-78, Episcopal chaplain of the University of North Carolina at Chapel Hill from 1978-82, and rector of Saint Thomas’ Parish in Newark, Delaware, from 1982-92. In 1992, he became canon to the ordinary – similar to a chief of staff – for Bishop Alden Hathaway in Pittsburgh. In 1995, Duncan was nominated from the floor and elected bishop coadjutor of the Diocese of Pittsburgh. He has devoted himself to mission and evangelism throughout his ministry, with a special passion for reaching adolescents and young adults. He is a champion of the poor and dispossessed of the Diocese of Pittsburgh, encouraging creative urban church-planting. Duncan pastored the clergy and people of the Diocese through the excruciating and difficult season that saw the realignment of the great majority of the Diocese from the Episcopal Church to Jerusalem Declaration (2008) Anglicanism. Duncan served on the Programme Committee of the Network for Anglicans in Mission and Evangelism, an agency created at the 1998 Lambeth Conference. In 2004, he was a driving force in the creation of the Anglican Relief and Development Fund, a multi-million dollar enterprise of which he served as president for a decade. Elected first Archbishop of the Anglican Church in North America in June of 2009, he electrified the investiture service with a call to plant one thousand churches (Anglican 1000) in five years. 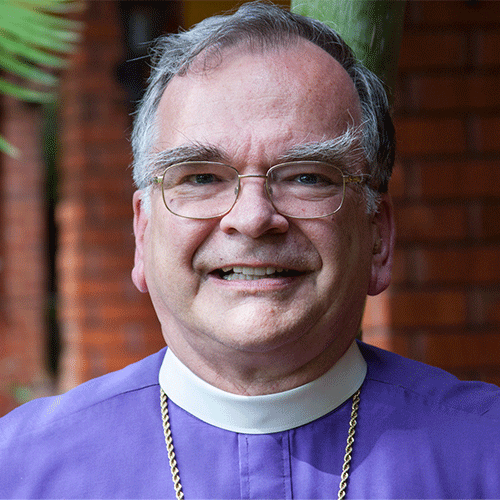 First known beyond Pittsburgh for his role in mission and for years of labor to draw together the Anglican Church in North America, “Archbishop Bob” has proven to be an extraordinary leader at a critical moment in Church history. Archbishop Duncan served as a primate on the Primates Council of the GAFCON/FCA movement and led the Anglican Church in North America to recognition as “a faithful expression of Anglicanism” and as “gospel partner” with the majority of Provinces of the global Anglican Communion. During this same period he was elected Chairman of the Christian Associates (the regional ecumenical group) and served multiple terms on its executive committee. He returned to dedicate his full energies to Pittsburgh as her Bishop at the conclusion of his term as Archbishop in 2014. Archbishop Duncan married Nara Dewar on August 16, 1969. They are a dynamic team. They share a love of gardening, travel, hospitality and music. They have one married daughter, Louise Elizabeth, and two grandchildren.